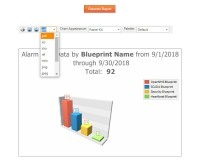 Select the Starting and Ending date for the desired report. Select the desired color palette for your report. Optionally, choose the output format , if saving your report to disk. 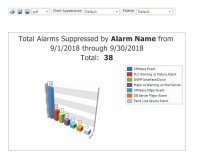 Overview of all Alarm data sent to the Notify.com Alarm Management system. 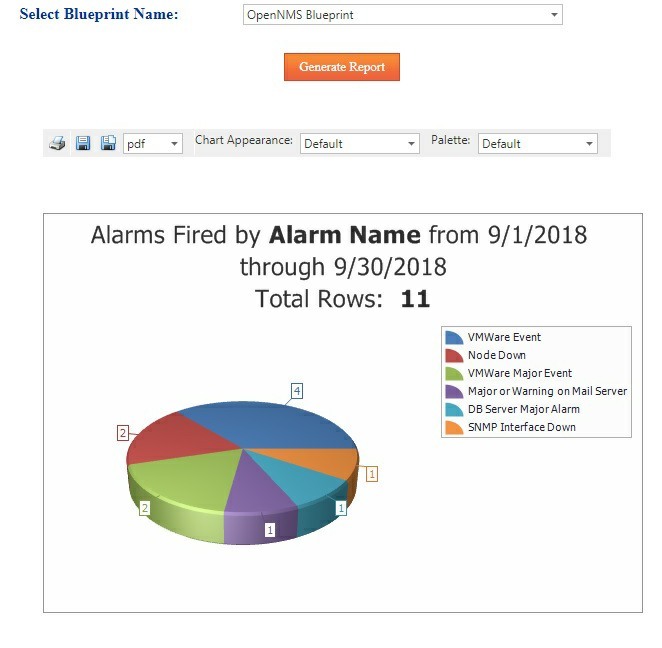 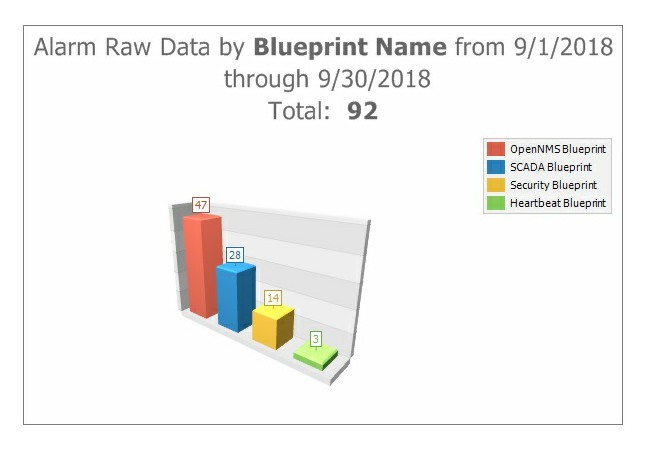 This data represents all alarm data, from all sources–regardless of whether the incoming data fired an alarm, or not. 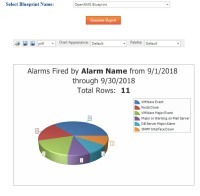 Overview of all Alarms fired by the Notify.com Alarm Management system. Alarms are categorized by the Blueprint associated with the alarm data. First, select the desired Blueprint. 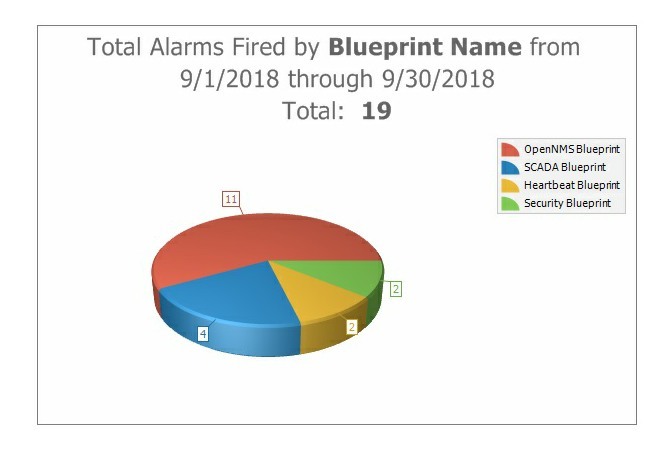 This report provides an overview of all Alarms fired, for the selected source. Notify.com implements a feature referred to as Alarm Suppression . 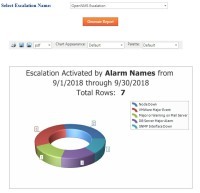 Alarm Suppression prevents multiple alarms from firing when identical alarm data is received in a short period of time. 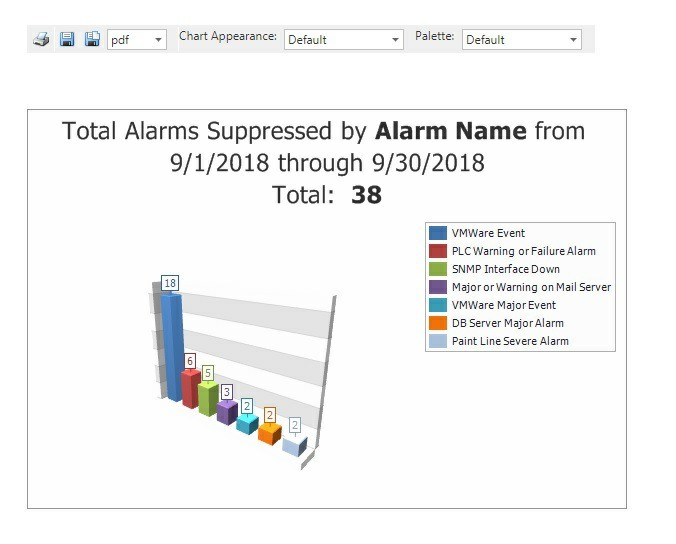 These bursts of identical alarm data are often referred to as alarm storms . 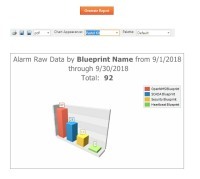 The Alarm Suppression Report represents the number of duplicate, suppressed alarms, over the selected period of time. 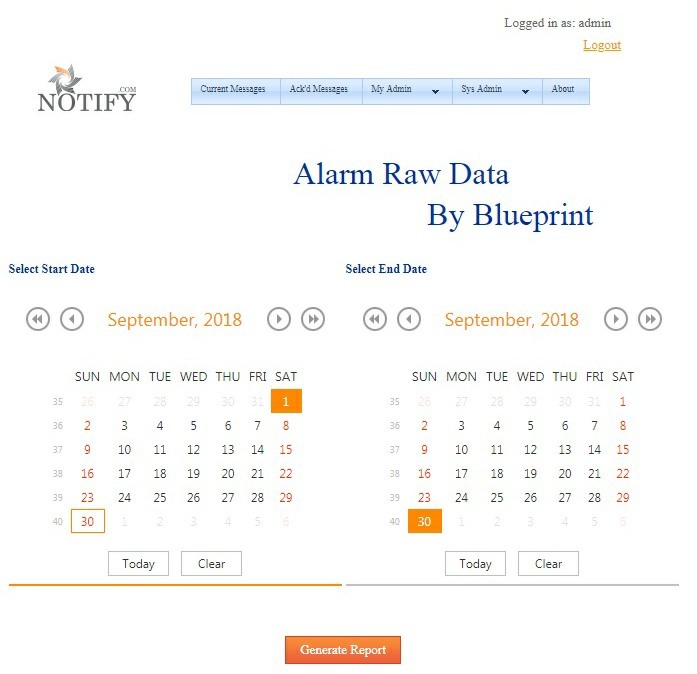 Every Notify.com Alarm is associated with an Escalation . 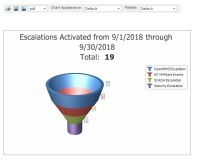 Escalations determine the people notified, or automated actions taken, until the Escalation is either Stopped , or Times out . 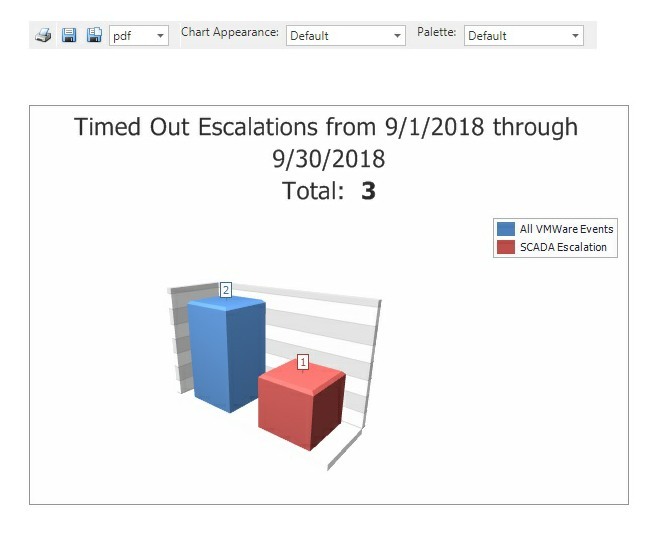 This report displays all activated Escalations, for the selected time period. First, select the desired Escalation. This report provides an overview of the Notify.com Alarms that resulted in activation, of the selected Escalation. 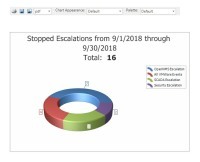 This report displays all Escalations that were Stopped. 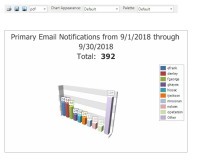 An escalation is stopped via the Notify.com web interface, or using One Touch Reply for PUSH, Voice, SMTP and SMS. 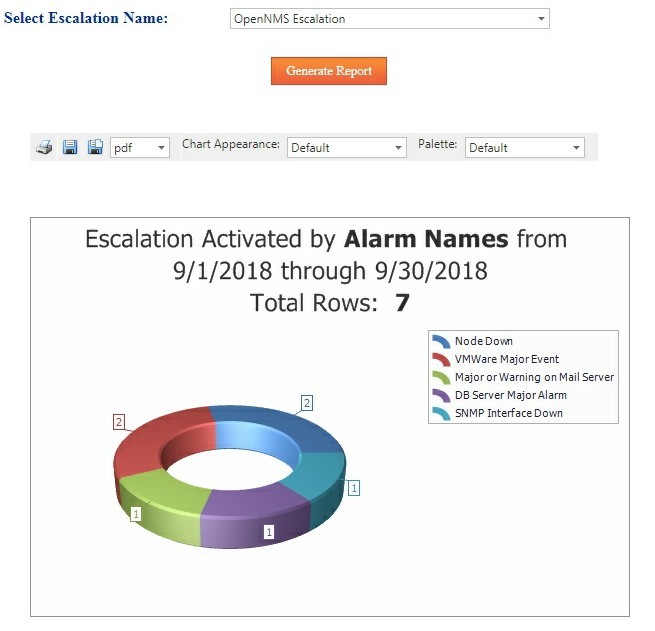 A timed out Escalation represents an Alarm that was not responded to, by any of the users in the chain of notification. Total Notifications sent by Notify.com for the selected time period. 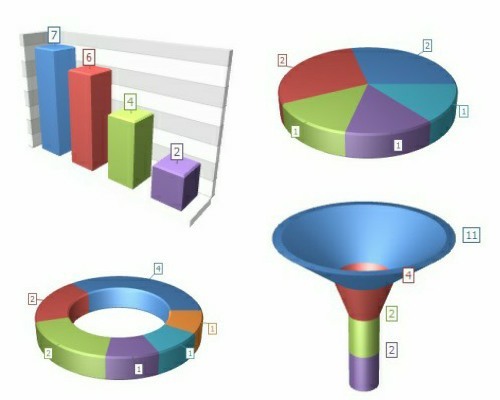 First, select the desired User. 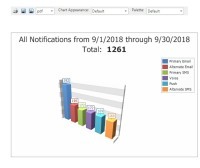 This report displays all notifications sent by Notify.com, for the selected user, over the selected period of time. 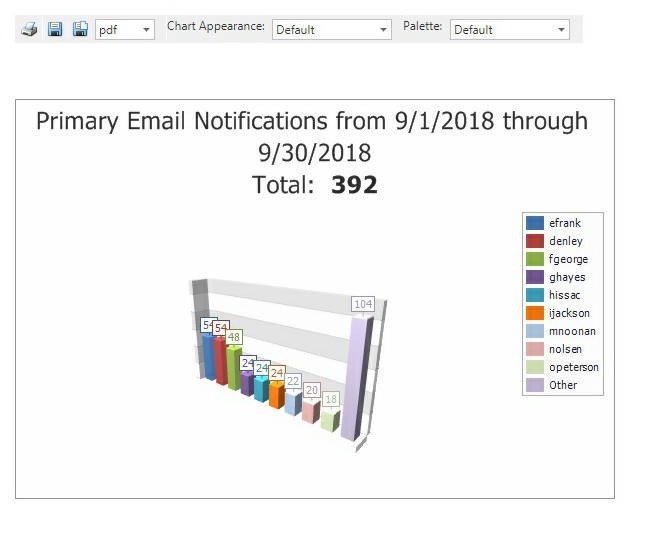 Total number of Primary Emails sent, by User. 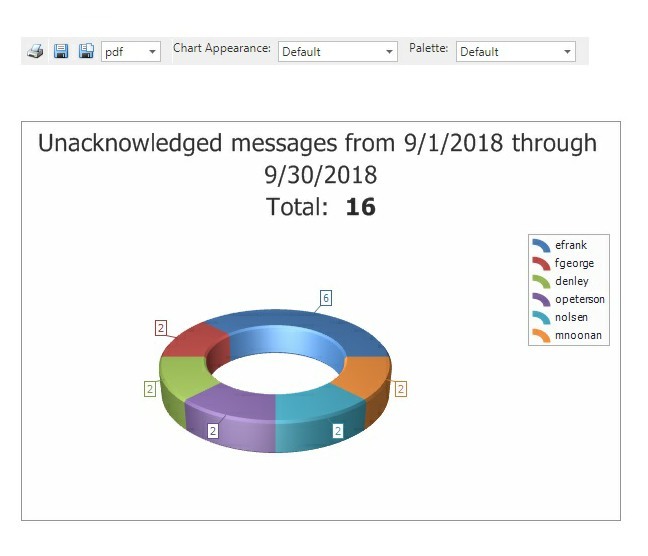 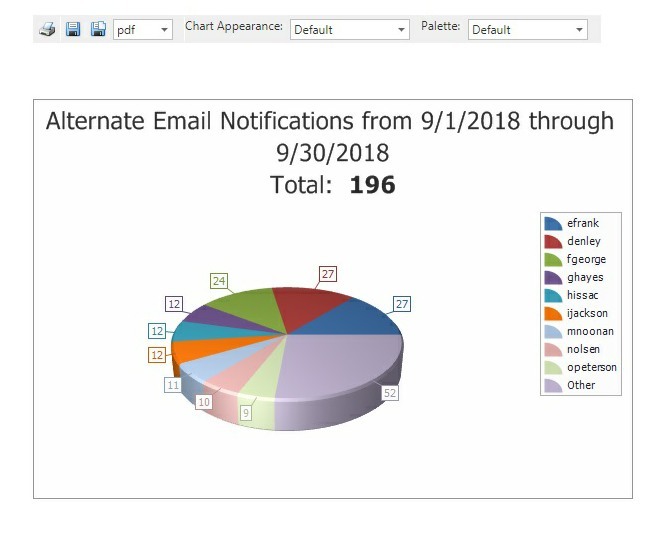 Total number of Alternate Emails sent, by User. Total number of Primary SMS Messages sent, by User. 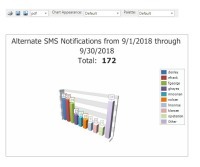 Total number of Alternate SMS Messages sent, by User. 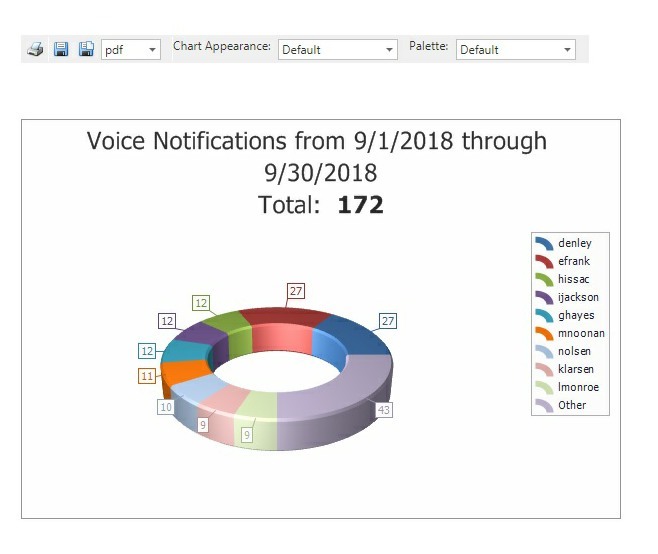 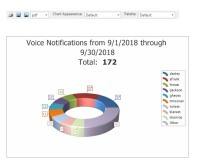 Total number of Voice phone calls sent, by User. 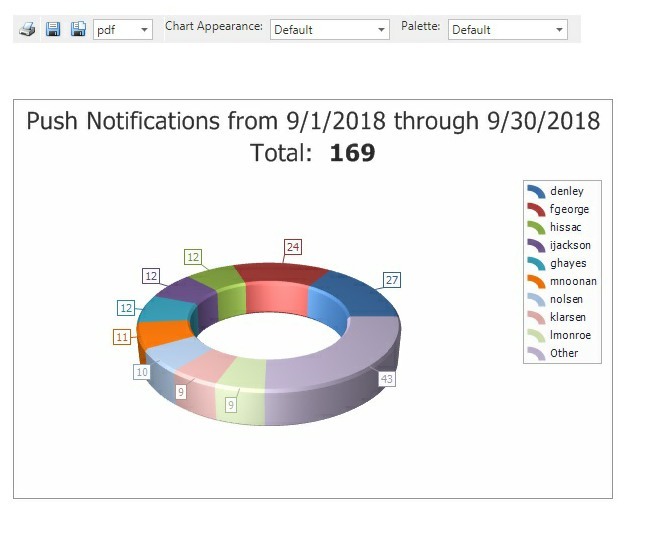 Total number of PUSH notifications sent, by User. 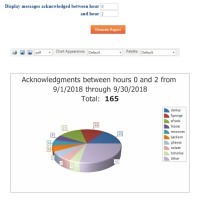 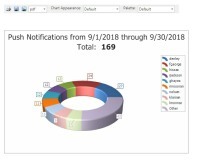 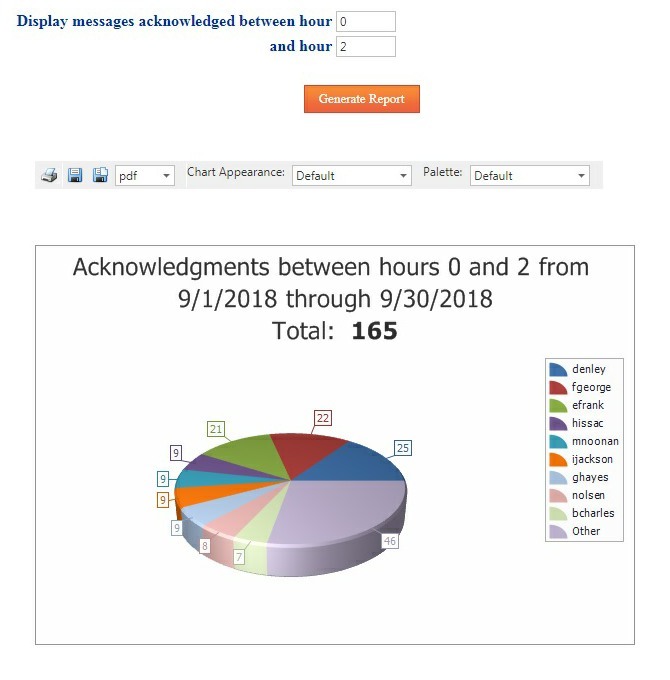 This report provides an overview of the time to acknowledge every message sent by Notify.com, over the selected time period. 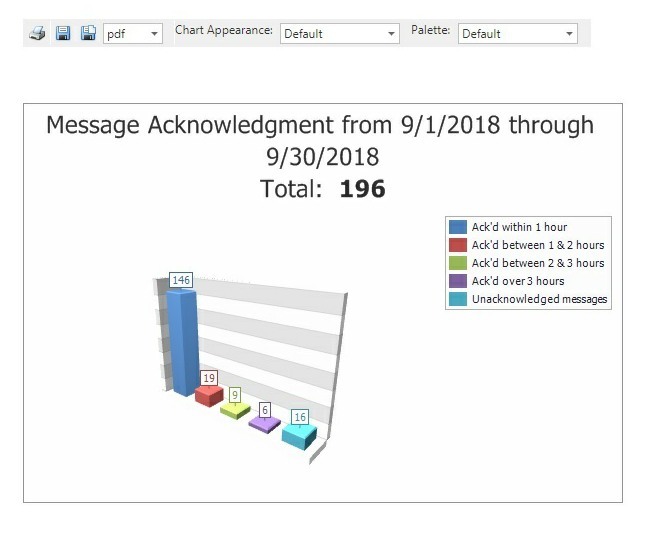 First, select the low and high time boundaries of message acknowledgement. 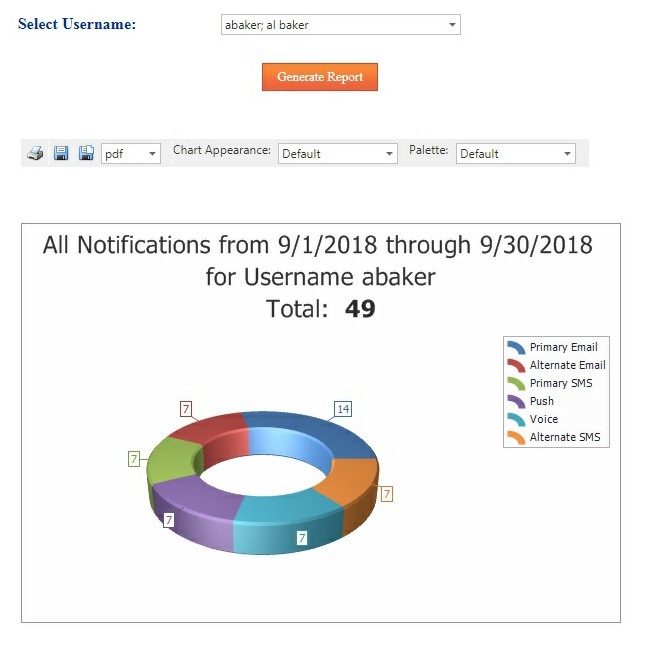 This report details the users that acknowledged their Notify.com message within the selected time boundary. Notify.com users acknowledge their messages via the Notify.com web interface, or by using One Touch Reply for PUSH, Voice, SMTP and SMS. 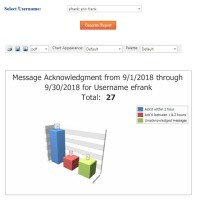 This report displays all users that failed to acknowledge a Notify.com message, over the selected time interval. 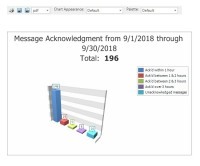 This report displays the amount of time it took the selected user to acknowledge their Notify.com message, over the selected time period.